lived religion – Nicola Denzey Lewis, Ph.D.
Last summer (2014) I was fortunate enough to become conversation partners with Prof. Jörg Rüpke at the University of Erfurt through our mutual interest in Lived Ancient Religion. Jörg has been working on a multi-year project funded by the European Research Council called the LAR Project (for “Lived Ancient Religion” — but a pun on the Roman household god Lar) which calls together international scholars to share our work on reconstructing lived experience in the religious lives of people in Roman antiquity. I was very pleased to spend a week in Erfurt last June meeting members of the Erfurt-based project as a visiting scholar. It was a terrific week of new connections, thoughtful conversations, and engaging other scholars and scholarship in a beautiful setting. 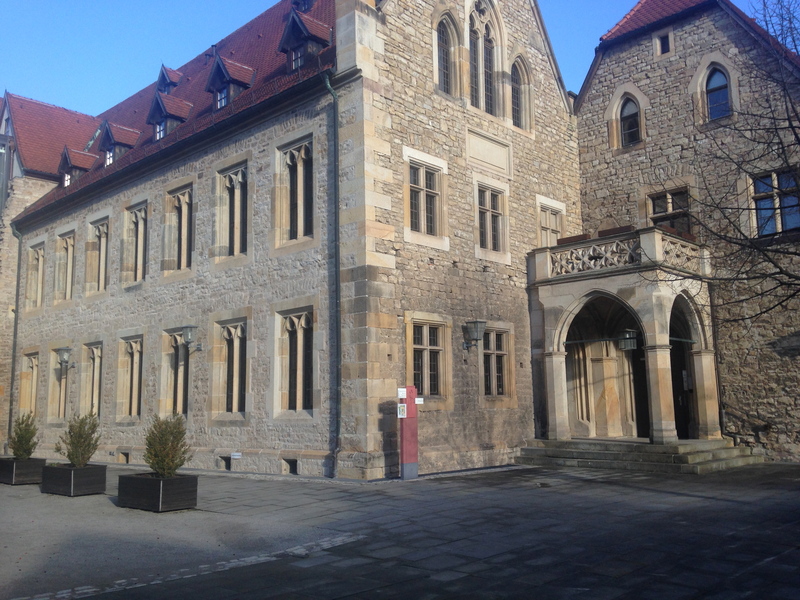 I was very excited to return to Erfurt last month for the fifth LAR conference, “Beyond Duty: Interacting with Religious Professionals and Appropriating Tradition in the Imperial Era,” organized jointly by Jörg, Georgia Petridou, and Richard Gordon. I couldn’t wait to meet Richard Gordon, whose work I have admired for two decades, but whom I had never had the opportunity to meet. My interactions with him were some of the highlights of the week. Georgia’s work on Aelius Aristides and his coterie of fellow sufferers was also wonderfully sophisticated, and I learned much from Jörg’s work on the change in priesthoods in the Roman Republic. My own paper for the conference was a reinvestigation of Irenaeus of Lyons’ account of a number of what we called at this conference “freelancers” or “Gnostic hieratic specialists,” particularly Marcus “the Magician,” a second-century Valentinian Christian, and a woman named Marcellina, whom Irenaeus identifies as a Carpocratian, that is, a follower of an earlier “Gnostic” teacher named Carpocrates. I wanted to draw little character sketches of these freelancers, both to see what they were doing, and, on another level, to figure out how Irenaeus “drew” these sketches to serve a variety of ends. What emerged from my research surprised me, and I’ll save the big “reveal” for the article I’m working on, but for now I’ll say only that it was very refreshing to pay attention to what these second-century freelancers were doing (or, better, what Irenaeus says they were doing) rather than what Irenaeus says they believed. 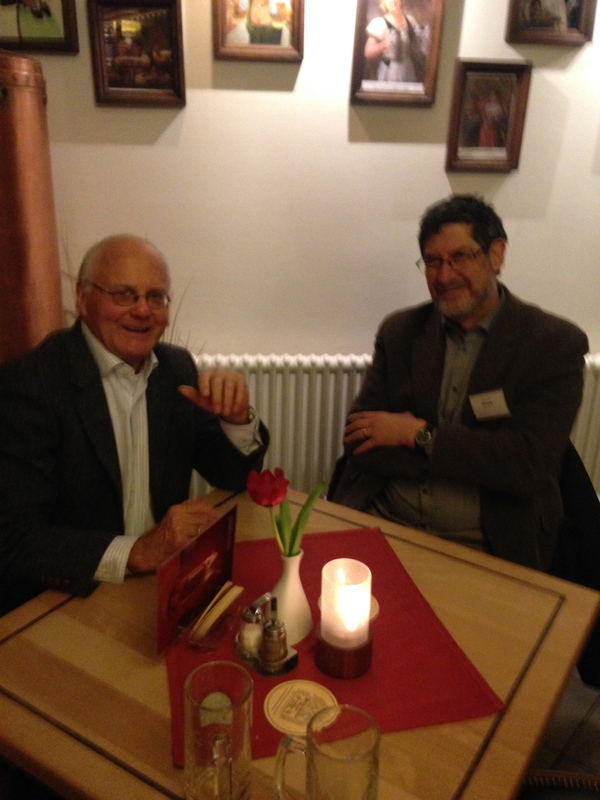 My conclusions also matched the direction and thrust of the papers presented by Prof. Jan Bremmer (Gröningen) and Prof. Richard Gordon (Erfurt), thus leading to some wonderful conversations and musings. Part of the delightful aspect of being an academic is getting to travel a little, and Erfurt turned out to be just as charming in January as it was in June (and, truth be told, not that much colder…it was unusually cold when we were there in June and unseasonably warm when I was there in January, which evened out to more or less the same temperature!). This time, all conference-goers stayed at the historic Augustinerkloster, the monastery where Martin Luther spent six years as a Catholic monk before “going rogue” and nailing his Ninety-Five Thesis to the door of the Wittemburg Cathedral. It’s now a retreat and study center open to visitors, with a refectory, library, lecture halls, and (best of all!) a new dormitory. Some particularly lucky visitors can stay in the Renaissance dormitory where Luther himself had his cell, but we were all in a brand new building. My cell (I refused to call it a room) was sparsely furnished, with a bare desk and chair and a single cot. The room was equipped with a Bible, a small cross affixed to the wall, and not much else. I quite liked the austere style, which I dubbed “German Zen.” Since it was intended to provide a monastic-like retreat, there was no television, phone, or even internet. Four nights of digital detox, courtesy of Martin Luther! There was something lovely about spending four days within the thick stone walls of the cloister, in Erfurt’s gentle January weather. The rain came down as a mist over the still-green grass; many hours required silence as we walked through the buildings. I made a new friend — a scholar at Oxford — and we explored the cathedral where Luther had sat for Mass every day, the cloister, and monastery proper. We found locked doors and got kicked out of areas we weren’t supposed to be in. We got hot chocolate and cake from the nice ladies at the café at the front of the compound. Most of the time, we all talked and listened to one another. The conference required pre-circulated papers (lots of time to read them in our cells, with no other distractions from the internet) and brief summaries. Here’s a link to the abstracts and another to the program. The other “bonus” to an international conference (well, maybe any conference) is the opportunity to engage in some serious shop-talk with like-minded scholars over food and drinks. This kind of convivium refuels me intellectually, such that I can’t wait to get back to my writing and thinking. 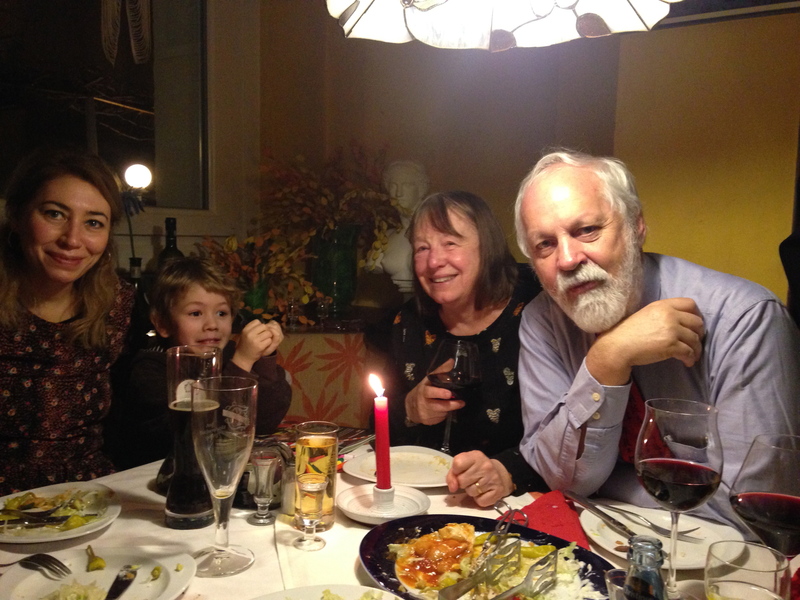 I’ve posted here a couple of pictures of dinners with Richard Gordon, Michael Swartz (OSU), Jan and Christine Bremmer, and Georgia Petridou. I don’t have a picture of my favorite dining experience, since my phone died at that moment: an incredible mug of hot chocolate and cake from Erfurt’s best chocolatiers, Goldhelm. If you are ever in Erfurt, you must, must go. Sitting in a cafe by candlelight, sipping insanely rich hot chocolate, and listening to AnneMarie Luijendijk and Michael Swartz talk about divination and AnneMarie’s new book on the Gospel of the Lots of Mary (read the press coverage here) reminded me of what I love about what I do. Dinner with Georgia Petridou, and Christine and Jan Bremmer. Strudel with Richard Gordon and Michael Swartz.